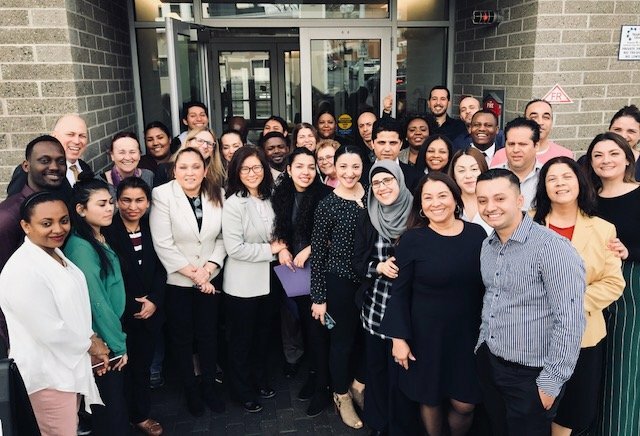 On Friday, March 15th, 34 people graduated from International Institute of New England’s Hospitality Training program in Revere. The specialized skills training in casino/hotel/restaurant work is part of a workforce initiative with MassHire Metro North Career Center, Encore Boston Harbor, and CONNECT. The 2 week accelerated program’s job readiness curriculum helped students develop the soft skills they need for the hospitality industry. These 34 graduates now join 50 previous course graduates who have successfully completed the intensive hospitality training. We’re so proud of them, and what they have accomplished for themselves. Next up: job interviews! Good luck, graduates!